We are so excited to be included in two-holiday specialty events this week! 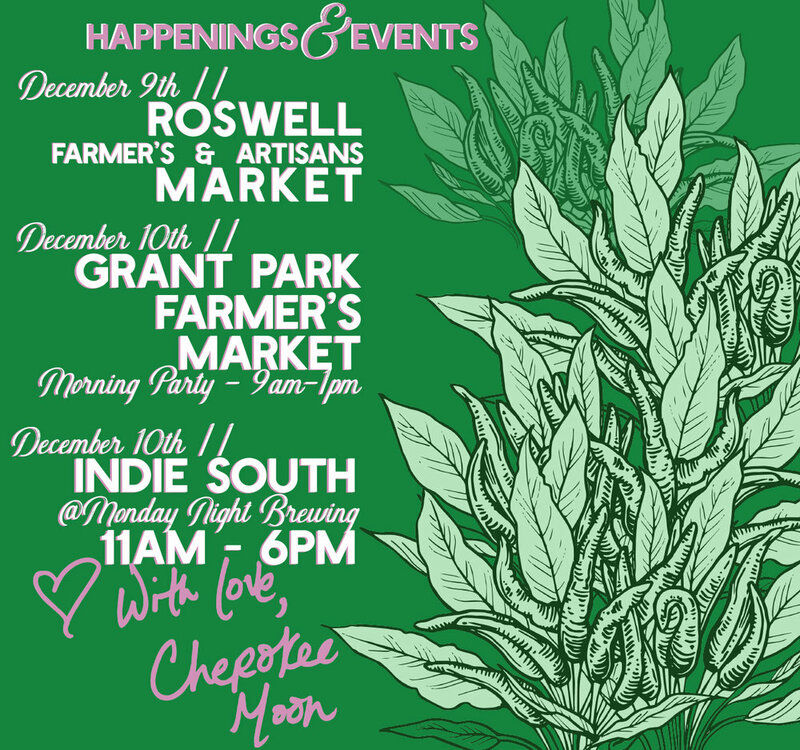 The Roswell Farmer's and Artisans Holiday Market on Saturday, December 9th and INDIE SOUTH ATL at Monday Night Garage, Monday Night Brewing's barrel-aging and souring facility in Atlanta's West End. We will be doing double duty Sunday as you can also catch us at The Grant Park Farmer's Market from 9am-1pm. Also making an appearance at all of our events this weekend is the sister company to Cherokee Moon Mixology, Cider Pearl. Cider Pearl crafts their cider vinegars with an emphasis on supporting locally sourced ingredients and creating a nutritionally dense product. Aaaand they are delicious! This round of Cider Pearl bottles are available in a fairly limited supply. Below is a glimpse of what they have to offer. Can't wait for you to try them all ... so in love!